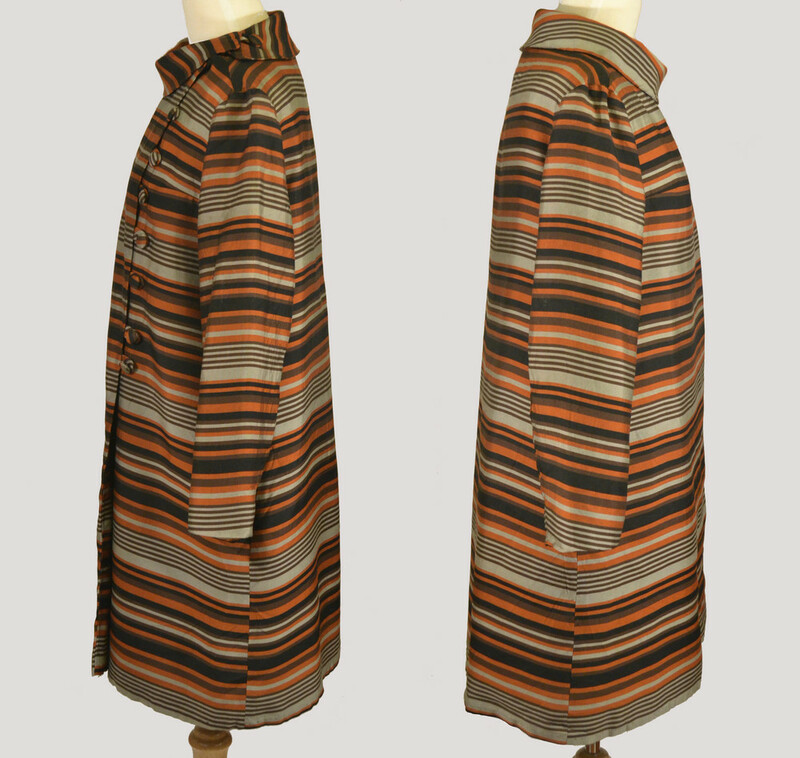 Please scroll down to see images of the 1960s Raw Silk Side Buttoned Coat modeled and in greater detail. Colors: Chocolate, grey, pumpkin, and black. 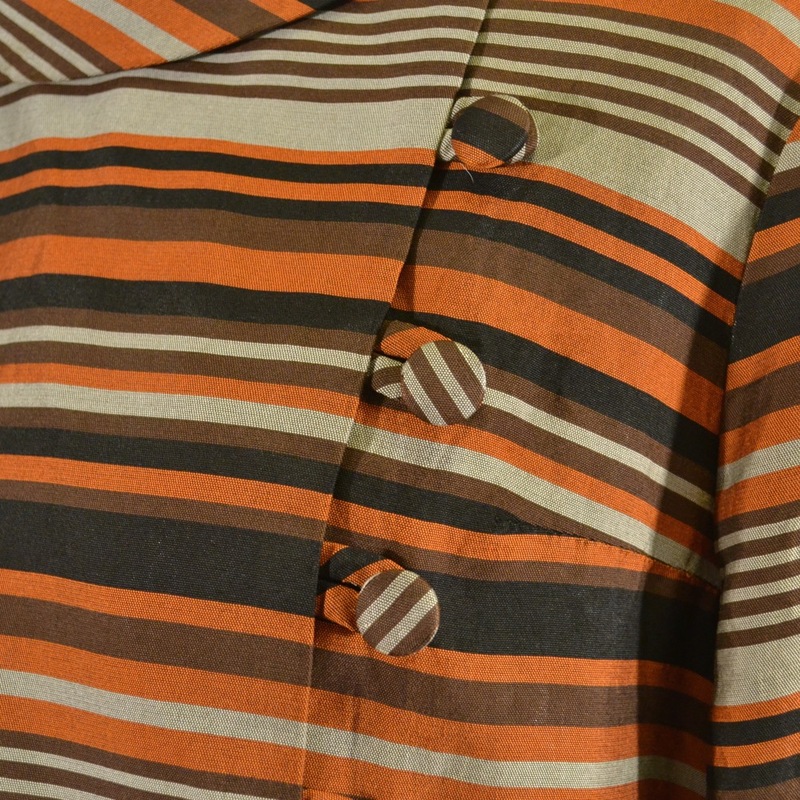 Closure: There are seven matching fabric buttons along the left side and one additional button on the back shoulder. 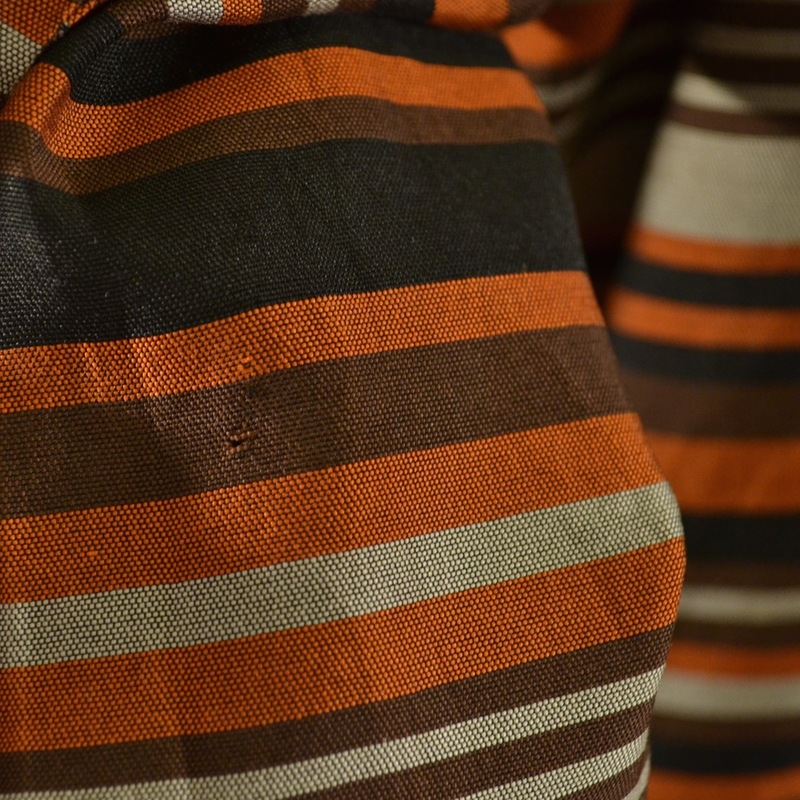 The coat also has two metal snaps to hold the front flap in place; both are located along the collar. Label: No maker label, but there is a ILGWU tag. All measurements were taken with the coat fully buttoned. When this piece and I found one another, it was a crumpled mess, and I have done my very best to press the wrinkles out, but it is still somewhat wrinkled (see images below). Before it goes to its new home, I will give it another press, but I certainly wanted to note the condition. 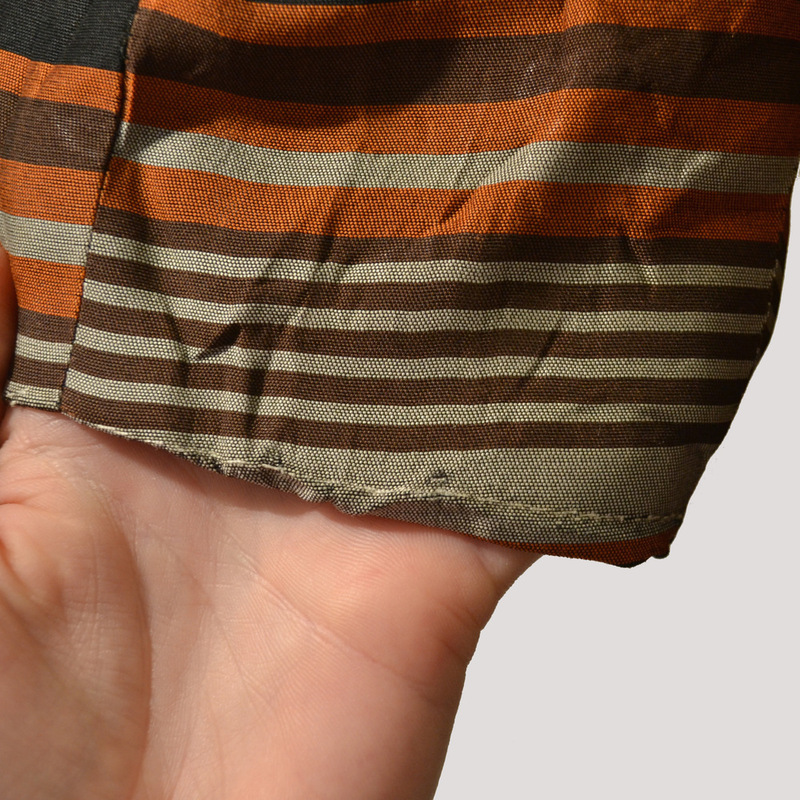 Due to the wrinkles, the wrist hems are ever-so-slightly off. 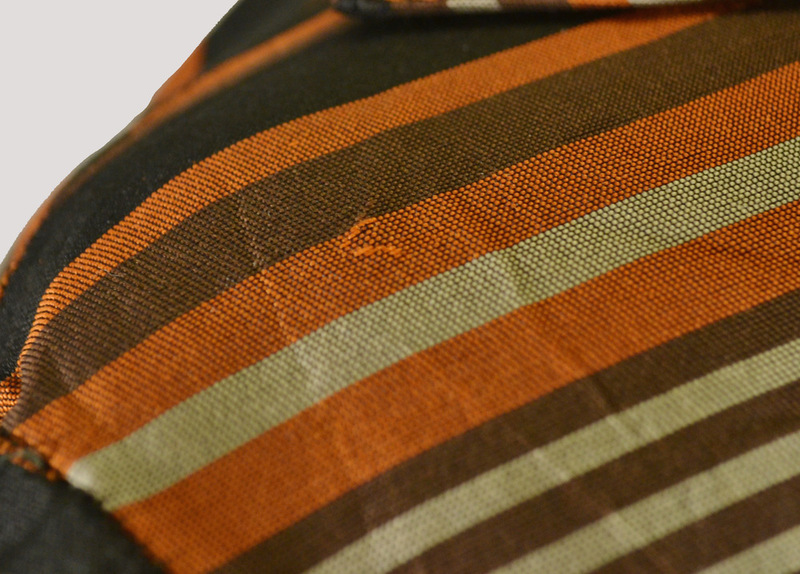 There is a very minor fabric imperfection on the back of the left shoulder. There is a pin-sized hole along the left arm, which is featured in an image below. Cuff detail; note the need for additional ironing. Very minor imperfection on the back, left shoulder. Pin-sized hole on the back of the left arm.